Professor of Economics, Catholic University of Brasilia. Scientific Initiation Fellowship, CNPq, Ministry of Science and Technology, Brazil, 1995- 1997. Research Fellow, National Council for Scientific and Technological Development (CNPq), 2010 - 2012. Senior Research Fellow, National Council for Scientific and Technological Development (CNPq), from 2013. Consultant, State Government of Brasilia, 2011-2012. Consultant, Special Council of Economic Advisors of the President, 2010. Consultant, Ministry of Tourism, 2005-2009. Consultant, International Poverty Centre ─ United Nations Development Program, 2008. Consultant, State Government of Brasilia, 2007-2008. Consultant, Institute of Applied Economic Research (IPEA), 1999-2000. Prize President Arthur Bernardes, Best Scientific Initiation Research, Federal University of Vi?osa, Brazil, 1996. Outstanding Scientific Initiation Research, Research Council of the Federal University of Vi?osa, Brazil, 1996. Tinker Foundation Scholarship, American University of Paris and LACEA, Paris, Oct. 2005. Corecon-DF Prize in Economics for Excellent Undergraduate Supervision, Brasilia, Brazil, 2007. Prize for Academic Productivity, Catholic University of Brasilia, 2011, 2012, 2013. Honorific Medal, Catholic University of Brasilia, 2010. Director of Graduate Studies, Catholic University of Brasilia, from 2012. Senior Research Fellow National Council for Scientific and Technological Development (CNPq), from 2013. 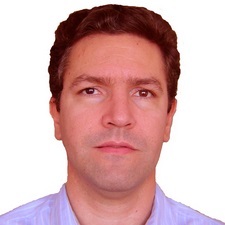 Associate Professor of Economics, Catholic University of Brasilia, from 2012. Consultant, University of Brasilia – Centro de Excelência em Turismo, 2005-2012. Consultant, International Poverty Centre – UNDP, 2008. Editor, Brazilian Journal of Business Economics, from 2008. Associate Editor, Journal of Reviews on Global Economics, from 2012. Associate Editor, EconomiA, Review of the Brazilian Economic Association, 2012-2013. Editor, EconomiA, Review of the Brazilian Economic Association, from 2013.